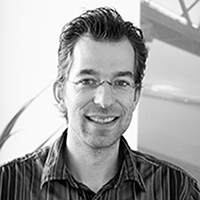 Stefan Kooman is a Senior Unix/Linux Engineer at BIT B.V. in Ede, the Netherlands. He has an acadamic background in geo-hydrology and Near-Surface Geophysics (Wageningen University). He has a brought interest in everything IT, but storage and virtualisation in specific, using hypervisors since Xen 2.0. When the decision was made to go with OpenNebula he set up both the Public Cloud (customers) and the Private Cloud for BIT hosted services.